UFV’s Newman Western Canadian Cookbook Collection recently received a giant boost thanks to the generosity of a long-time collector. James Mah, an internet bookseller who lives in Burnaby, BC, began collecting Canadian cookbooks as an offshoot of his book business. He initially began collecting mainstream cookbooks but soon realized that there were also cookbooks produced by all kinds of Canadian community groups and organizations that were flying under the average bookbuyer’s radar and quickly disappearing. 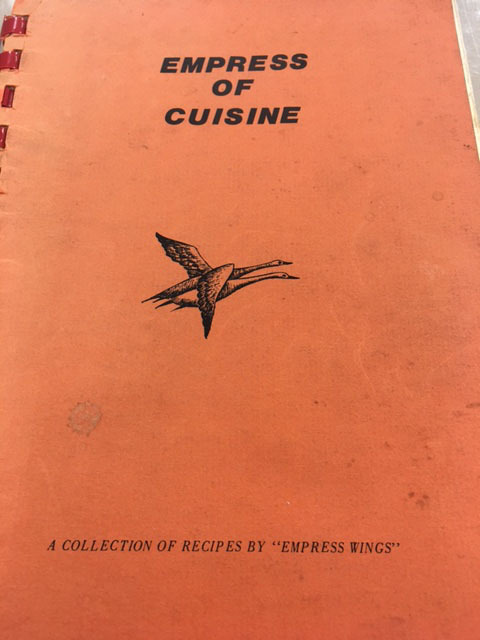 “These cookbooks are interesting because they provide a snapshot of social groups at a certain point in time, a picture of what they were cooking, and sometimes even genealogical information as some recipes included the names of the contributors,” notes Mah. 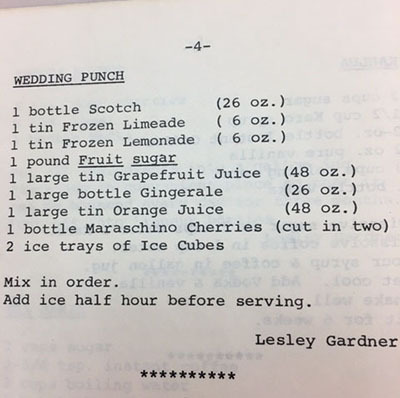 Mah was inspired by Elizabeth Driver’s bibliography of Canadian cookbooks (Culinary Landmarks: A Bibliography of Canadian Cookbooks 1825-1949) to gather bibliographical information on all Canadian cookbooks from the 1950 to 2000 era. His unfinished catalogue now stands at 8,000 entries. In honour of and as a legacy of Dr. Lenore Newman’s UFV position as Canada Research Chair in Food Security and the Environment, the UFV Library created the Newman Western Canadian Cookbook Collection in 2014. Over the years, Newman often contacted Mah’s internet bookstore and purchased many books from him, as she researched Speaking in Cod Tongues, her book about her cross-country quest to define a Canadian cuisine. When Mah decided to donate his collection, he contacted UFV librarian Mary-Anne MacDougall, who eventually chose 481 cookbooks for the Newman Collection. MacDougall notes that cookbooks, particularly those compiled by community groups, reflect the culture of the time they were created. The Newman Western Canadian Cookbook Collection is named for the family of Dr Lenore Newman, UFV’s Canada Research Chair in Food Security and the Environment. Newman was the driving force behind the establishment of the collection in the Fall of 2014. Her research interests include food security; sustainable food systems/urban food systems; place, space, and urban nature; and urban spatial geography. Dr Newman writes that the community cookbook came into its own in the early 20th century as printing costs fell drastically, allowing groups to put together collections of local recipes as a fundraising tool. Thousands of such books were produced, and recipes that had developed locally were passed around the western world. The recipes preserved in these books describe a way of life that is quickly becoming remote. In their pages these little books preserve the day-to-day existence of people now gone. From the books of UFVs new culinary collection we can study the lives of the people who settled Western Canada. 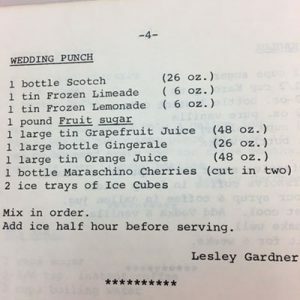 In particular they capture voices that were not well represented in other ways at the time: cookbooks expose the lives of women, and the lives of minorities. Timely preservation of these books is now critical, as they are all too often discarded over time. Their preservation ensures future researchers will have access to a critical period in the development of Canada. We are a diverse nation, and have come to understand each other in part through the sharing of food.